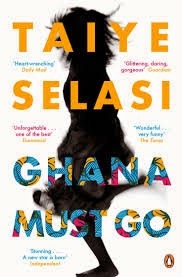 Ghana Must Go is about a family torn apart by a string of events and as a result, are living in different parts of the world. There is the mother (Flora), father (Kweku), eldest son (Olu), twins (a boy, Kehinde and a girl, Taiwo) and the youngest daughter (Sade). They all have their demons that they choose to suppress before their worlds are turned upside down yet again and are forced to not only face each other but also their past. This book conjured up lot of different emotions for me. There are a few parallels in the story that ring true. I don't want to give too much away but parental abandonment in more ways than one is quite prominent in this story. I can relate to that and at times reading this book was a bit too close to the bone for comfort. The "children's" feelings towards their parents and the feeling of loss and confusion is definitely something that I have felt/ feel with a lot of what happened during my own childhood/ early adulthood, and it was so strange to read some of my own thoughts and feelings through these fictitious characters. For me, the continuous theme I got from the book was yearning. Yearning for a sense of belonging, yearning for a sense of wanting to be accepted, yearning for a resolution, yearning for happiness. I felt the theme and the subjects throughout the book were dealt with really well by the author; she was sensitive, thoughtful, honest, and hopeful in her writing and I'm in no doubt this book would have been completely different if written by a man. The subject matters talked about were not easy ones and I haven't read many books that deal with them in such a way as to make me think about my own story and how it has shaped me into the person I am today. However, I'm not going to say that I liked the book in full, in fact, I didn't really get into the book (as in it wasn't an instant page turner for me) until around page 120. I found the beginning incredibly difficult to enjoy. There was a lot of time jumping that at times became quite confusing and hard to keep up with. All in all I'm glad I stuck with it as I enjoyed it more as I read on. 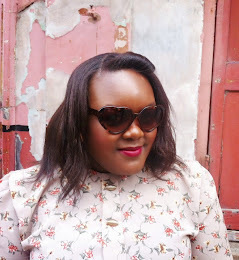 So hopefully you’ll remember me telling you about my second blog birthday in this recent post. I’m so happy to have reached (and now past) two years and I felt it was time to celebrate. The wonderful people over at Simply Be have been kind enough to gift one lucky winner a dress of up to £75! I’m so excited because I love Simply Be and their generosity never ceases to amaze me, so I’m thrilled to be able to do this giveaway for my readers. All you have to do to win is enter via the Rafflecopter and the lucky winner will be announced back on this post the day after. The closing date will be midnight (UK time) on July 8th 2014. Get entering and GOOD LUCK! NOTE: Dress chosen will of course be subject to stock availability.